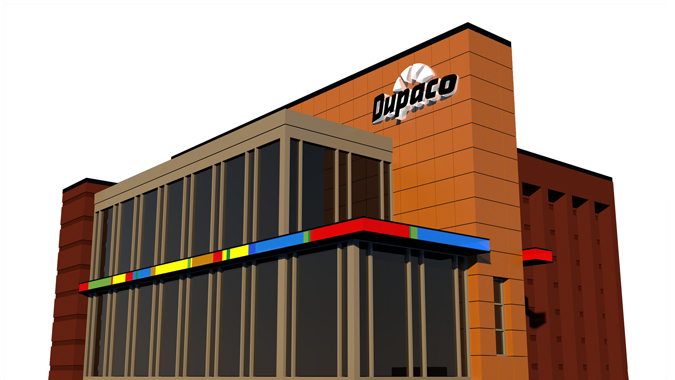 Dupaco Community Credit Union plans to remodel and expand its current building into a full-service learning lab branch. The newly expanded retail space is expected to be completed in late 2019. Structural demolition of its current building at 503 W. Highway 30 is slated to begin on April 4. This will lead way to its current 2,590 square foot building to be expanded into a two-story, 6,211 square feet, Dupaco Learning Lab. The current branch will be open normal hours throughout the entire project. Full-service Dupaco branches are primarily designed to help members understand money and improve their financial positions. Some back-office support employees are also expected to occupy the updated Carroll space. The expanded branch will deploy a service delivery technology featuring live video tellers which allows live tellers to conduct real-time, face-to-face video transactions from a distance. Dupaco employees located at a central location in Dubuque will remotely operate the Carroll lobby and drive-through video teller machines. The new video teller technology is intended to boost the credit union’s mission to improve each member’s financial position, according to Dupaco Chief Marketing Officer David Klavitter.